Please welcome today’s guest poster, Allen Green. I’m a huge fan of technology. It doesn’t matter what type of technology; it’s the fact that brilliant people come up with faster, better and easier ways to improve our lives, especially when it involves green energy. Can tiny, portable solar cells change your life? And the answer is yes! You’ve most likely used a version of a solar calculator. Think about the last basic calculator you used. Remember that little panel on the top? That is the solar panel that charges it up. It’s small, simple, works with minimal light and doesn’t require batteries. The possibilities of how this can be used are virtually endless and manufacturers are realizing it. By providing clean, portable energy, companies are indeed changing our lives by changing the way we run our devices. Radios. The radio/flashlight combos that you have in case of emergencies now may not require batteries, depending on which brand you buy, of course. Lanterns. These are also good for emergency kits or camping trips. In fact, you can even buy a landscape version of a solar lantern from Sam’s Club, Costco or Home Depot and light up your yard every night for free. GPS. Avoid the need for maps, asking for directions or printing them out on paper. GPS systems save you gas, mileage and time … and now with the power of small solar cells. Solar ovens. OK, so it’s one of the bigger items, and not really using “cells,” but who wouldn’t want a way to cook food without gas, electricity or even wood? With easy temperature monitoring up to 360 to 400 degrees Fahrenheit, the Global Sun Oven can be used to cook anything a conventional oven could. Chargers. I recommend solar chargers from Voltaic for your gadgets. Their Fuse 10W Solar Laptop Charger will provide power for your laptop, phone and camera, making it a useful backup or alternative when you need the extra juice. Solar cells are definitely under used as a resource to help cut back on energy usage. Imagine how much energy we could save if we never had to plug in our cell phones to charge them? This technology is already available and should be used more! Allen Green is a sports enthusiast who blogs about green topics for UtilityCompany.com, a great resource for cheap electricity rates. I think solar panels are really going to catch on in the next few years. Once they become more affordable, I think more people are going to use them to get themselves off the grid in small ways. I have been meaning to get a solar charger for my phone. When I travel, I feel like the quest for plug-ins is all consuming! 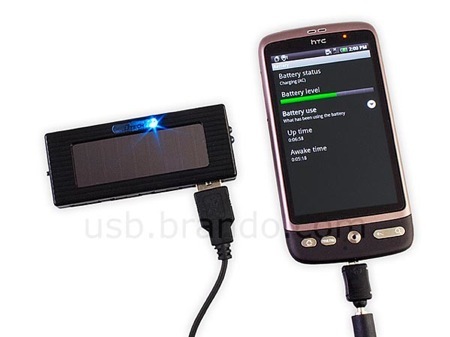 I like the idea of a solar charger for the phone or laptop, but the price is really high! Are there any kits for making these? I like the idea of a solar laptop or phone charger but the price is steep. Are there any kits that help you did this by yourself? I have been using a solar phone charge for the past two years. I attached it to the top of my backpack and it charges me on the go.